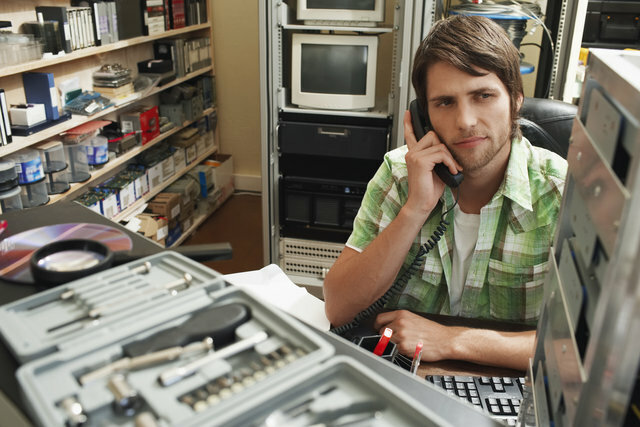 When Is Outsourcing Tech Support to an Atlanta IT Company the Best Choice? Tech problems can be a nightmare for many business owners. It's partly because many companies don't hire dedicated IT staff, so it's up to existing employees to find solutions to tech issues. This doesn't always go as planned. Moreover, staff augmentation often delivers sub-optimal results when compared to an Atlanta IT company. But how do you know whether your business is a good candidate to outsource this line of work? Read on for some useful pointers. 1. Do You Need Cost Control? When you're struggling to improve your bottom line, the last thing you need is to have more employees on the payroll. Having an in-house team means you pay the same amount of money each month. No matter how much work they put into your business. With an Atlanta IT company, you can spend your budget on an as-needed basis. Not to mention you instantly gain a team of specialists without doing any hiring or training beforehand. The thought above leads us to our next point. Yes, training and qualifications are a good way to determine whether "the IT guy" is a good pick for your company. But without relevant experience in the field, training can only get you so far. No matter how you look at it, your staff will only be working within the limited scope of your tech needs. When you're looking for a good dentist, do you visit one who only does teeth whitening? Or do you want them to have knowledge of more than one technique? We can make the same case for IT. 1ix has been in the field since 1996. That means we've been through 20 years of technological advances, and have experience with a wide array of issues your business may encounter. Speaking of which, there's one more advantage of working with an Atlanta IT company that you should know about. In fact, we'll add two just because we want to see you succeed. Big businesses can be a bit more liberal with training and hiring expenditures. It is not such a problem for a large company to have in-house support. By choosing to outsource your IT needs, you gain access to the newest technologies. This should give you a competitive edge and level the playing field. And since we're on the subject of technology, let's head on to the final point. If you need to handle both company decisions AND IT matters at the same time, you may find it impossible to deliver optimal results in either case. It all comes down to what we mentioned in the beginning of this article: A dedicated managed IT team doesn't need any training. They've experienced these cases beforehand, and are best equipped to handle the situation. And so are we. If you are in the Atlanta area and are ready to take your business to the next level, give us a call at (770) 325 - 7325. Alternatively, you can contact us via this form. Also, feel free to browse through our blog and get the latest info about business-oriented IT trends that can help improve your business.